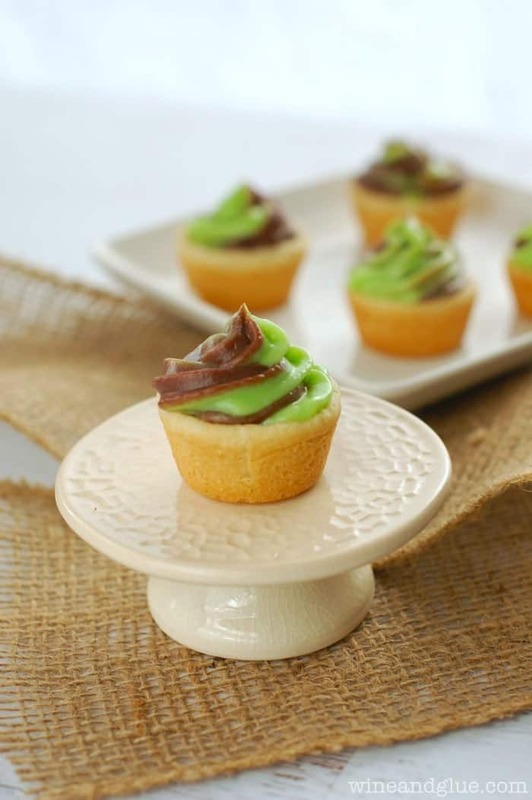 Mint Chocolate Sugar Cookie Pudding Cups | Two of your favorite flavors together in a sugar cookie cup! I mean, I knew it would. But I was still dreading it. That appointment where they weighed me at the OB’s office and then said . . . So I’m working on the making the desserts and you know, not eating all of them. Honestly? It’s kind of lame. But here is a cute little dessert that comes already in mini form. 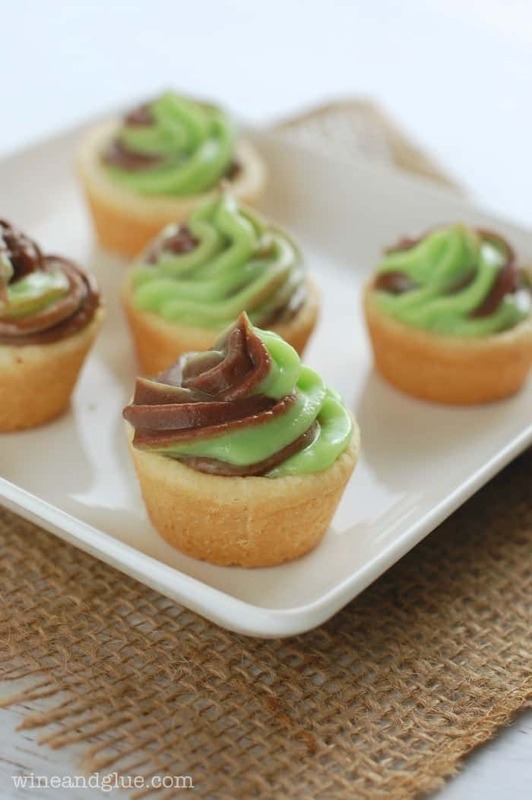 It’s got the sweet tastes of chocolate and mint together in a soft little cookie cup. 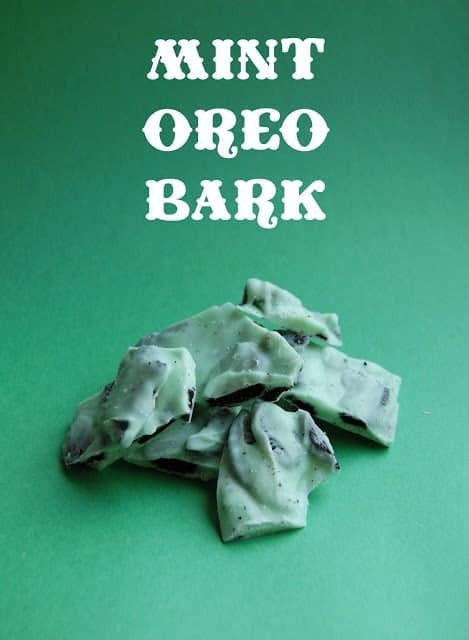 It’s delicious and indulgent, but not get a lecture from your OB nurse indulgent. 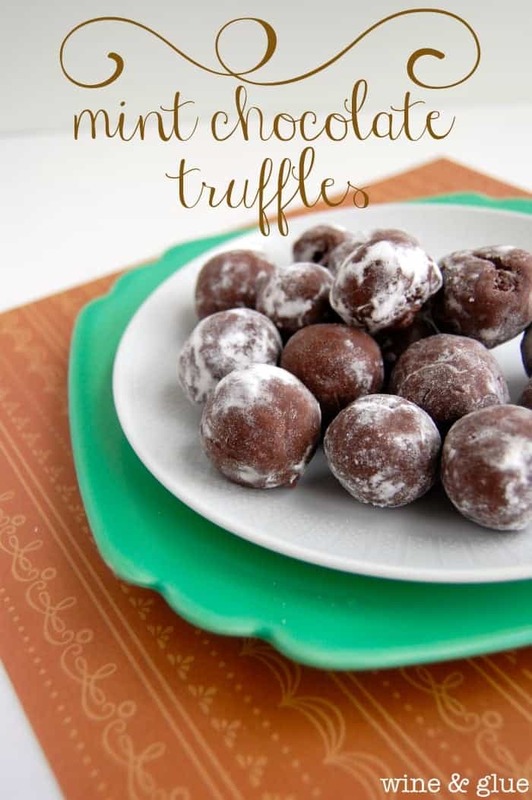 These are really simple to make with store bought cookie dough and instant pudding mix. You just add a little flavor and food coloring to the vanilla, and put in less milk than you normally would to make it thicker. Just don’t eat all 24. Spray a 24 cup mini muffin tin heavily with cooking spray. Make one inch balls out of the cookie dough and put them in each of the 24 cups. Bake for 12 minutes or until they are golden. Let them cool completely, then very carefully run a knife around each cookie cup and very very gently remove it from the pan. Mix together the vanilla pudding mix with a cup and a half of milk until fully combined. Add in the mint and the green food coloring. Put in the refrigerator and let set completely. Mix together the chocolate pudding mix and a cup and a half of milk until fully combined. Put it in the refrigerator and let set completely. These cookie cups are so adorable. I would love to get my hands on these! 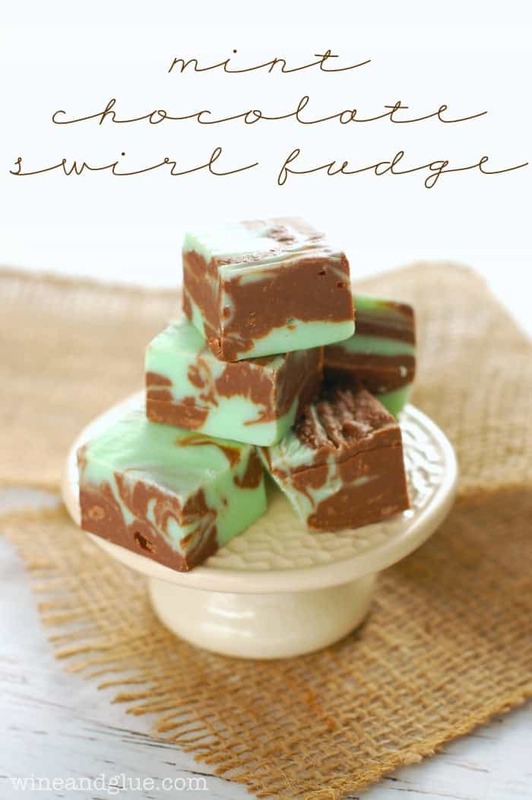 Loving all your St Pattys day recipes these days! These look delicious!! 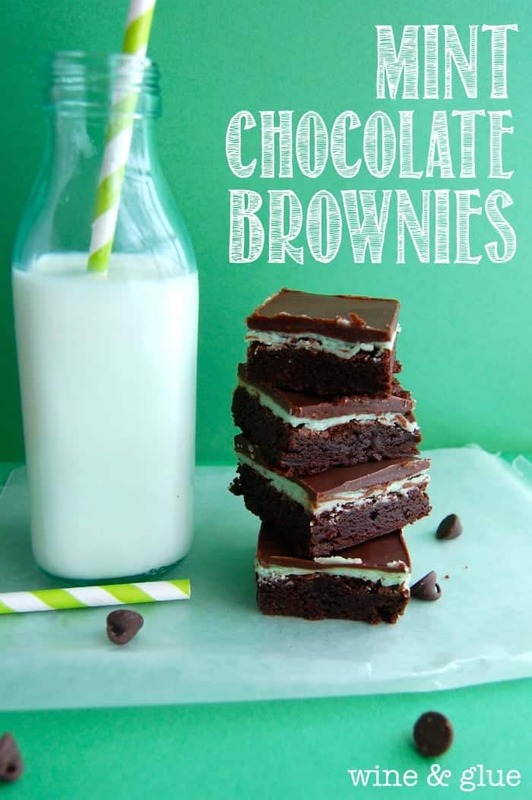 What a great idea to thicken up instant pudding for these! They sound delicious! Oh, and I totally struggle non-stop to not eat everything I make. So hard! 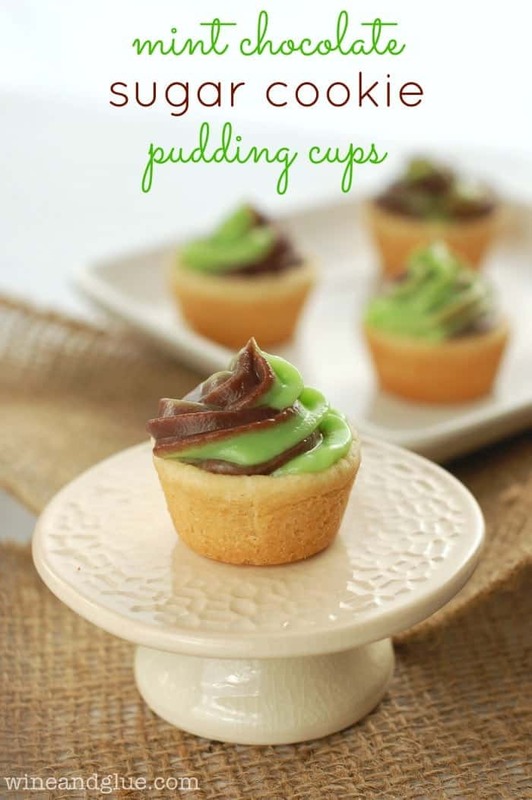 I need these sugar cookie pudding cups in my life! Those look great. I love finger bite size desserts. 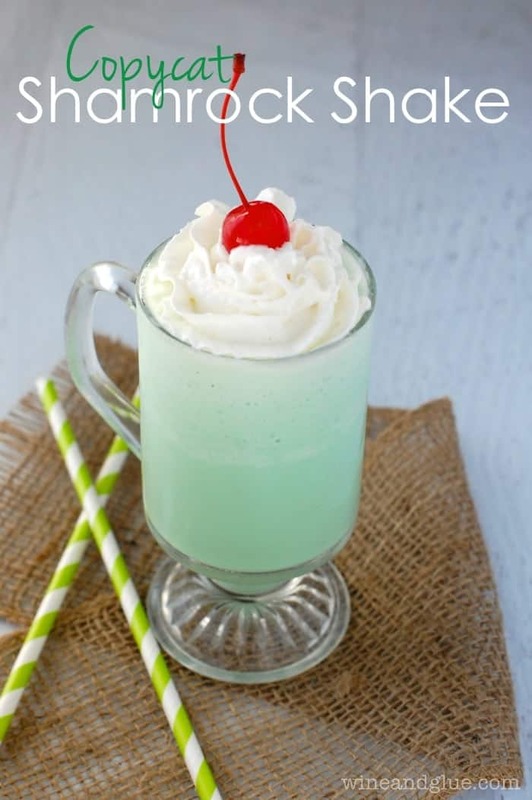 I love a good shamrock shake too. I would love for you to join our linky party going on now at Bacon Time, if you haven’t already joined. mindiehilton recently posted…Anything Goes Linky #142, Features, and Giveaway! Genius. (Guess I’ll change my idea for our thing on the 5th, lol!!!) LOVE these! Ugh not that “moment”! Seriously. Worst. Feeling. Ever. Like we don’t already feel frumpy and large? Thank you for making it worse! I need to apply the theory of not eating all the treats I make. Like these delicious little devils. Who can resist?! Ha! My OB and I had a discussion this morning about 4th pregnancies and how you just feel like you need to treat yourself more….I’m right there with ya! These pudding cups do look like the perfect little way to treat myself. Watch out!! Lisa, these look absolutely fabulous!! Thank you so much for sharing these little beauties at Best of the Weekend and I’m featuring them tomorrow night. I don’t even want tell you how much weight I gained with my first child and I had no excuse! Hang in there!! Hope you’re having a great week. Cindy Eikenberg recently posted…Cinnamon Swirl Cupcakes + A Cupcake Celebration Party!